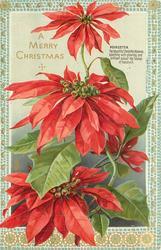 gilt embossed, PROCESSED IN SAXONY, same images 518, come POINSETTIA THE BEAUTIFUL CHRISTMAS BLOSSOM, SPLASHING WITH GLOWING AND BRILLIANT COLOUR THE SEASON OF GOODWILL. 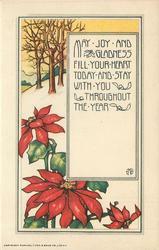 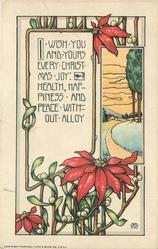 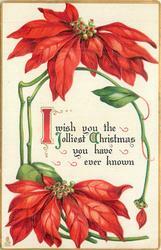 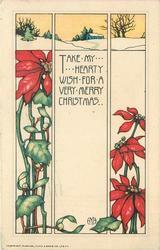 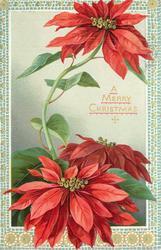 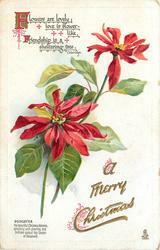 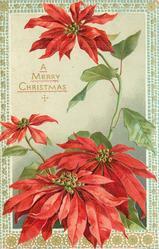 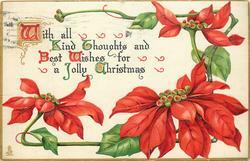 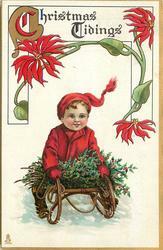 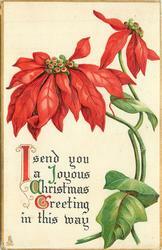 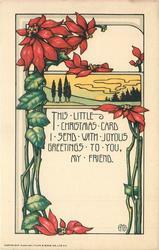 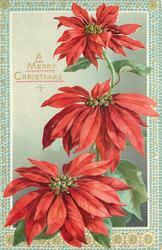 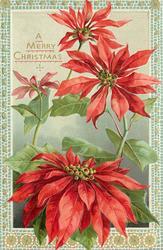 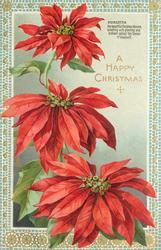 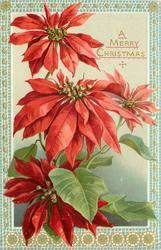 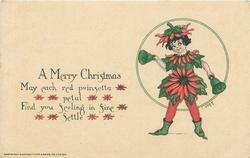 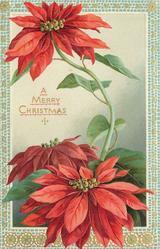 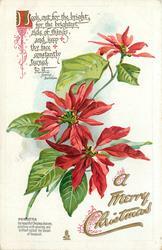 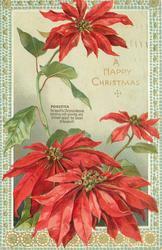 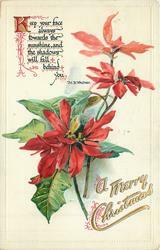 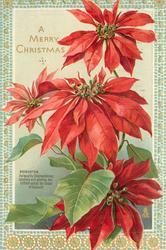 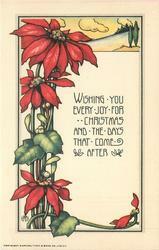 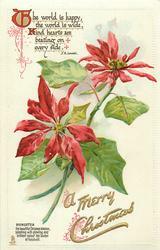 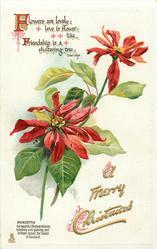 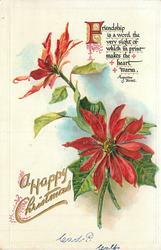 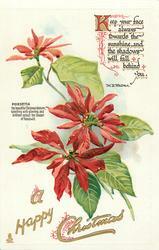 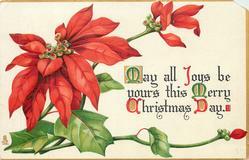 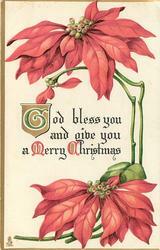 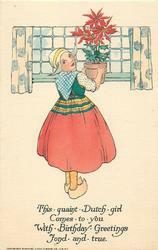 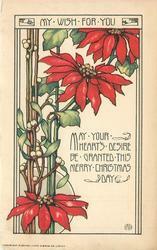 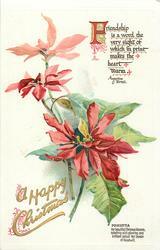 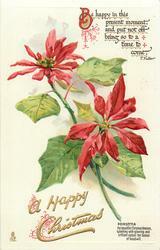 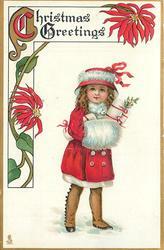 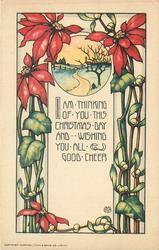 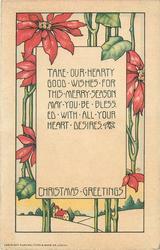 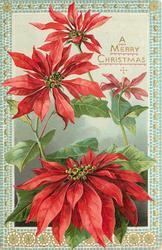 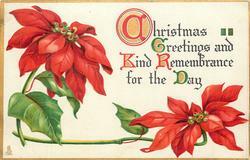 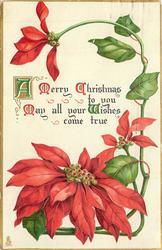 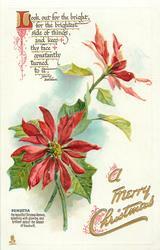 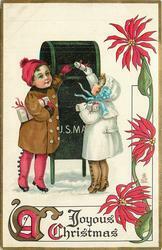 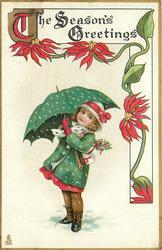 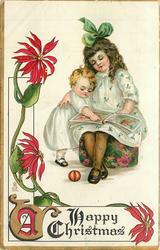 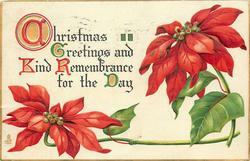 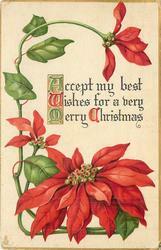 PRINTED IN U.S.A., COPYRIGHT RAPHAEL TUCK & SONS CO., LTD N.Y.
verse:- MAY EACH RED POINSETTA PETAL FIND YOU FEELING IN FINE FETTLE. 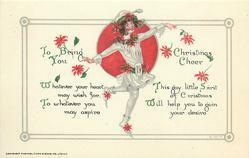 verse:- WHATEVER YOUR HEART MAY WISH FOR, TO WHATEVER YOU MAY ASPIRE THIS GAY LITTLE SPIRIT OF CHRISTMAS WILL HELP YOU TO GAIN YOUR DESIRE.